Just a few intrepid skippers braved the frosty reception they might receive, not at the event but afterwards upon returning home having been out all day sailing on valentines day. The weather was predicted slightly warmer than it turned out to be, however the wind strength was there if occasionally it gusted and then died back. 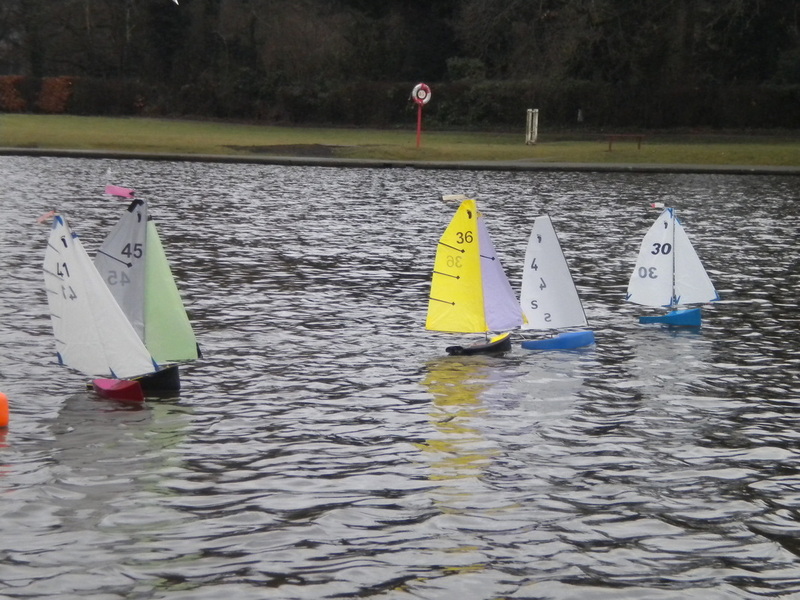 The wide wind range would have an effect on the result with the ICE's notably of Mike Ewart, last years Sail Footy UK Novice winner and Robin Webb's Slim being least affected. The Fat Boy Slim's all had difficulty maintaining control when it really gusted which cost a few places, eventually the two Peter's settled on offset B rigs and Geoff Raygada an A which had much of the camber taken out to spill wind or at least try to not collect it. 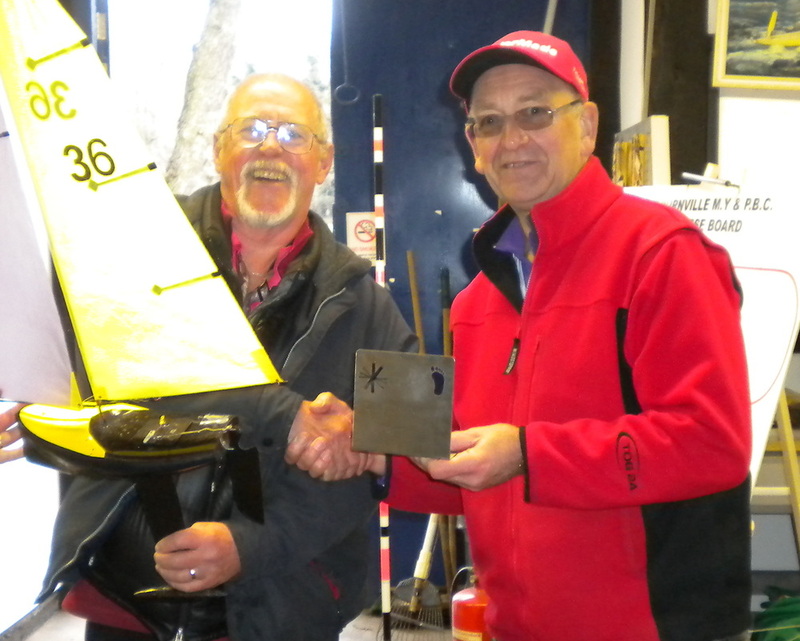 With these set up's Peter Shepherd (65, Fat boy) was able to hang onto Mike Ewart (36, ICE) and a great tactical battle ensued throughout the event, Mike bringing his considerable years of sailing experience into play to teach Peter a lesson or two, for which he is most grateful. Further down the fleet nearly all the chasing skippers had their moments with wins in race 3 for Robin, race 7 for Peter Jackson and what should have been for Geoff Raygada (41, Fat Boy Slim) in the same race but for him finishing on the wrong mark. 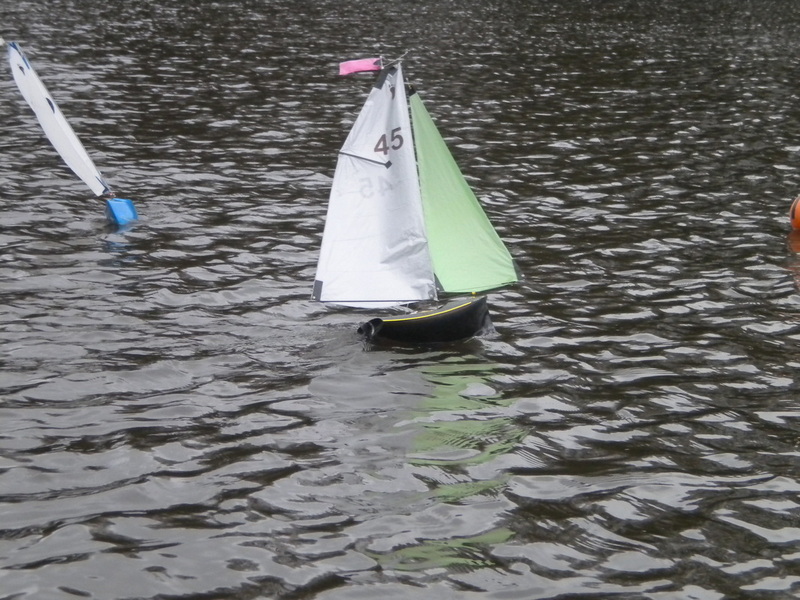 Bill Green (45, ICE) was enjoying sailing his ICE again with his recently refurbished sails. Unfortunately Sid Sims (05, Ice) had what can only be described as a torrid event hopefully he can get things sorted and return firing on all cylinders soon. The morning course was a straight up and down upwind/downwind course with a short leg being repeated twice between the upwind mark (1) and a narrow gate, and then it was out to a wing mark (4), return around a downwind mark (5) and finish with a tricky final leg to the finish where races were won and lost next to the bank. The afternoon course was of a similar nature although the start was shifted to put everyone on a starboard reach and the wing mark was abandoned, this made for an interesting rounding of the first mark (4) and it was best to stick tight to the starboard end of the line to get the best line into the mark. 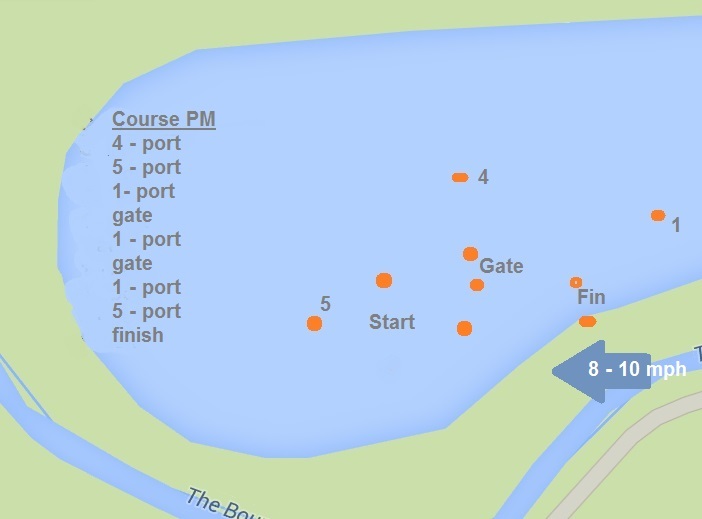 Not content with changing the nature of the courses, the scoring was altered to a high points wins system with no discards, in which everyone can see who their nearest rival is throughout the event, on this occasion the organisers were most generous with the redress points (shown in red on score card) although with some analysis after the event it shows that the result would have been the same using the more traditional low point system. 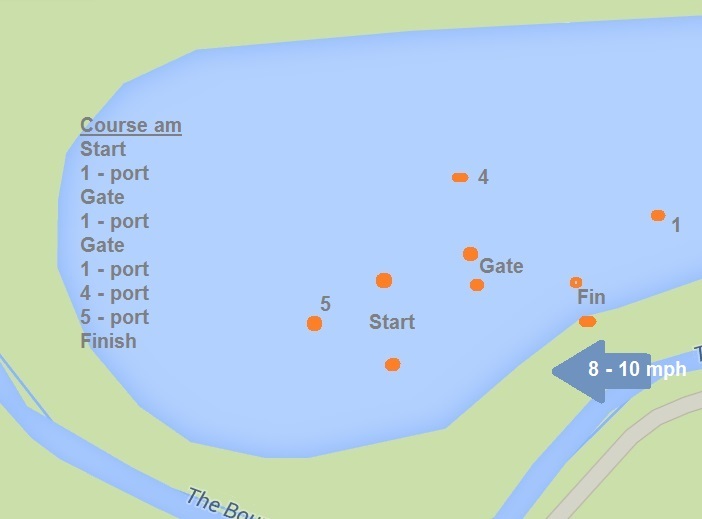 The hospitality from the Bournville club was most welcome, our thanks go to Ian Cooke for the result recording duties who commented that he thoroughly enjoyed watching the little yachts putting on some great racing and to Bill Green & Robin Webb of the host club. 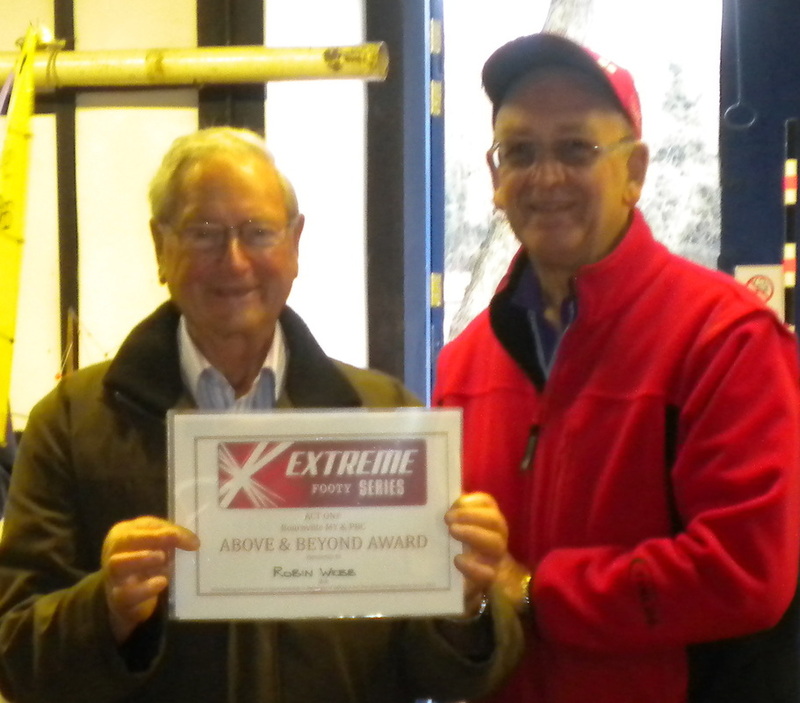 The first of the Extreme Footy “Above & Beyond” Awards was given to Robin for his great performance with his Una rigged Slim (Sui 4) and for ensuring that all the competitors had hot drinks and revitalised during the break. Robin was most surprised to find that his award came with an MYA Voucher redeemable at most model yacht suppliers to the value of £10.00. Thanks to all the skippers who turned out and to the wives who let them! Hopefully we will see you again for the ACT TWO, at Birmingham Model Yacht Club, on March 7th.